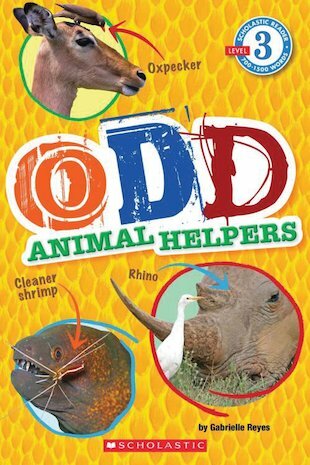 See how the most unlikely animals work together! Every day, countless animals and plants work together in unique ways. Although some of these symbiotic relationships seem strange, like a large rhinoceros needing the help of a small bird, all of them are essential for survival. Find out all about odd animal assistants in this fascinating reader, which helps growing readers to consolidate their skills with a more complex text of 754 words.